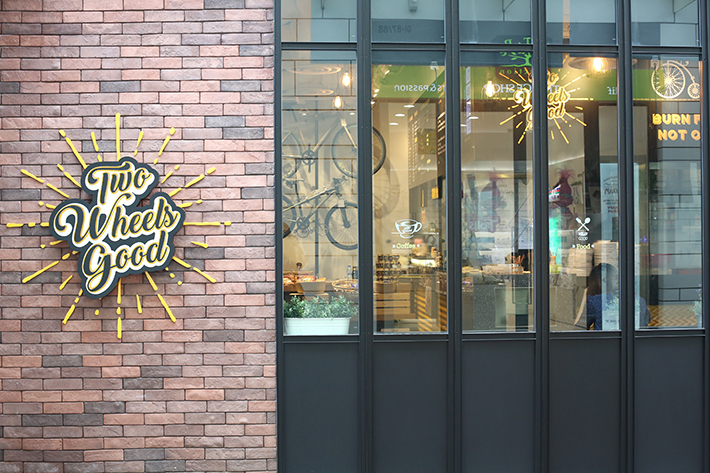 Two Wheels Good is a bicycle-themed café sitting in between Boon Lay MRT station and Jurong Point. With Hong Kong BBQ, Teochew Mee, local beverages, Kaya Toast and even booze on their menu, it is certainly a nice fusion of both traditional and western. If you are a frequent biker or have your weekends reserved for bike-riding, do drop by this cosy café to purchase some bicycle accessories or just a hearty breakfast if bike-riding is not quite up your alley. Two Wheels Good has a pretty inviting exterior. And you wouldn’t even think that from a cafe that looks like that, you’d be able to enjoy typical Asian-style dishes. We were charmed by the café’s ambience and the staff’s affable disposition as soon as we stepped inside. There is a corner filled with bicycle accessories as well as a display of local snacks and delights available for sale. Lunch was Kaya Toast Set (S$3.90), Black Carrot Cake (S$4.50) and Teochew Mee Pok (S$4.50) for us. The fare at Two Wheels Good is very reasonably priced and arrived in sizable portions. The Teochew Noodle is one of the café’s specialities; albeit nothing extraordinary, the generous portion did its job to keep us full. The Kaya Toast Set includes two toasts, two half-boiled eggs and one beverage of your choice. 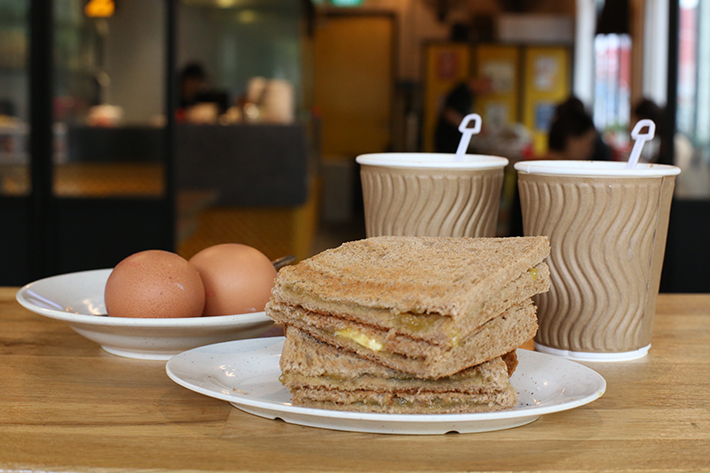 We were pleased to say that our Kaya Toast went perfectly with our cup of piping, hot teh and half-boiled eggs. The seasoning and sweetness of this savoury Black Carrot Cake hit all the right levels. Over price, small quantity for 5 dollars and damm poor service. Dont visit.